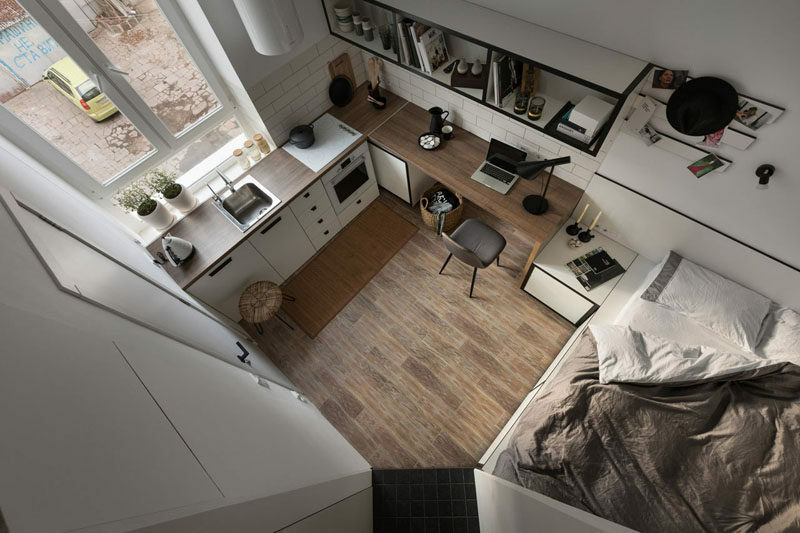 Fateeva Design have created the layout for a small apartment in Ukraine, that measures in at just 186 square feet (17.3 sqm). 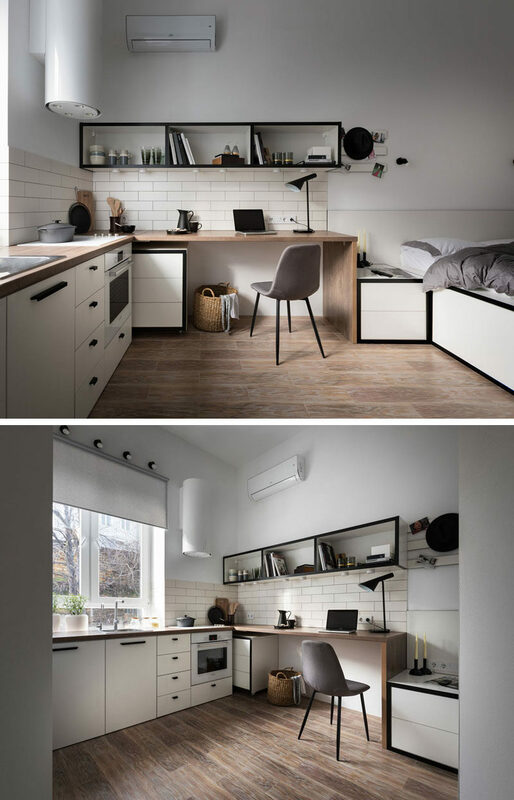 The apartment, located in an old building in the very center of Odessa, has a small angled entryway with a mirror, shelf, stool, and wardrobe. 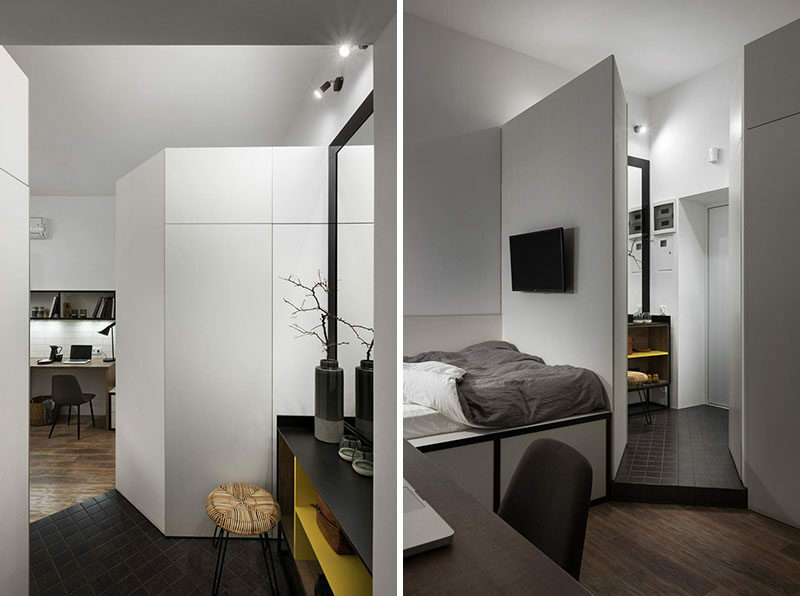 A small step down from the entryway opens up to the combined bedroom, desk, and kitchen. Behind a partial wall, there’s the sleeping area. The bed has been slightly raised to provide storage beneath it, while a wall-mounted television allows the bed to be also used as a place to watch TV. The bedside table meets a wooden work desk, and above the desk is a floating shelving that can be used as a bookshelf and as a open pantry. 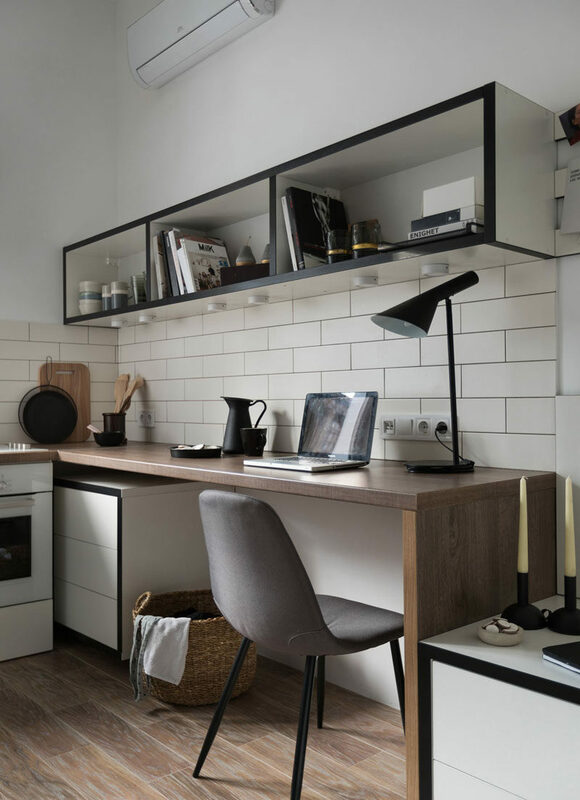 The wood desktop morphs into the kitchen counter, that features a minimalist cooktop. A tall window allows for natural light to fill the small space, while cabinets and drawers below, create extra storage space. 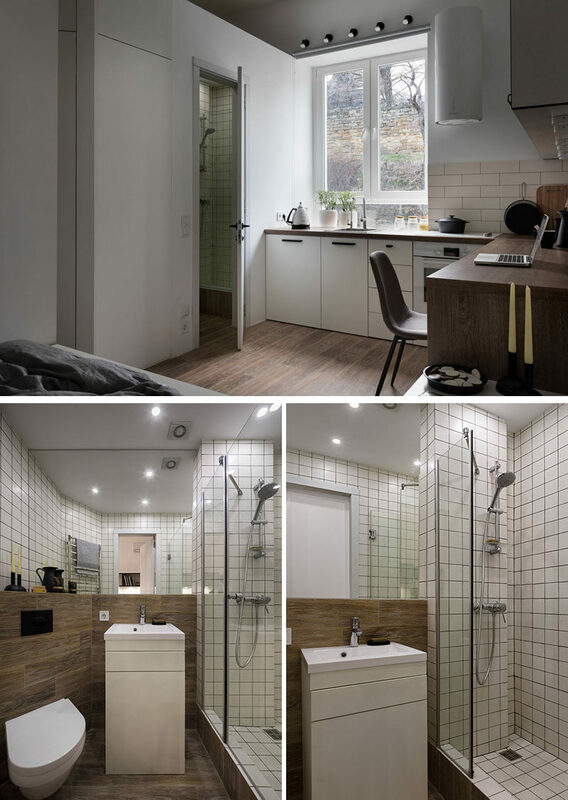 Adjacent to the kitchen is the bathroom, which features a shower, washbasin, and a toilet. A mirror takes up the wall, and underneath, a wood shelf provides a place to store various bathroom items.